12. Illegal, dishonest, or morally offensive. Alert: DRAFT: This page is still a draft and being actively written. Warning: This page is opinionated. It should not be used in place of the requirements page. o be free of PHP or JS notices. o not be in conflict with plugins e.g. prefixing. o use WordPress functions, hooks, filters and libraries. o not do anything illegal, dishonest, or morally offensive. This assumes that you have a testing environment set up. If you haven’t already, please read our related handbook pages: Become a reviewer, Theme review process and Working with Trac. Note that you need to be able to switch between PHP 7 and 5. If you have never used PHP Codesniffer before, we encourage you to read the available documentation. It can seem complicated at first, but it is a very helpful tool that is well worth the time to learn, and we strongly recommend it. You can use the PHP Codesniffer both as a command line tool, or together with your code editor. There are several plugins that can help you with the review, but you will also need to check all the files manually (yes that is correct: all the files). You will need access to the requirements page, the developer code reference and the theme developer handbook. Tip: If you need help with the review, you can ask other reviewers in the #themereview Slack channel. We want to encourage you to find a flow that works fastest for you. You might find it easiest to work through the list of requirements, or you might find it easier to look at file by file. Since most themes follow a standard, so can your review. Please remember that we do not review design, but we review usability. We only require design changes if something is broken or unusable. You may add design recommendations to the review, but it is optional. The focus of the review should be security and license. You may need to test the theme settings but you should only need to spend a couple of minutes on each. When writing the review, separate requirements from recommendations. This makes it easier for the author to make required changes, and for other reviewers to do follow up reviews. style.css and readme.txt Missing license information or using the wrong links. header.php Hard coding scripts, styles and charset. Text missing translation functions. footer.php Hard coding scripts. Options such as copyright texts that are not safely escaped on output. functions.php Functions that are missing prefixes, functions that do things that we consider plugin territory. customizer.php Settings that are missing sanitizing. Text missing translation functions. We recommend starting with these files, then running the plugins and finally activating the theme and viewing the different pages and settings. Errors needs to be fixed before a theme can be approved. Warnings, info, and notices are indications of something that needs to be manually checked. Recommended Recommendations are not required to be fixed before a theme can be approved. You may include the error report in your review. By searching for specific phrases you can drastically reduce how long a review takes. There are tools available that can search zip files, such as grep. Editors like PHPStorm, Atom and Sublime Text also lets you search the entire theme folder. WordPress themes are derivative of WordPress because they require WordPress code to function. Themes inherits the license that WordPress uses: GNU General Public License v2, or later. That is why themes must be compatible with the GNU General Public License v2, or any later version, to be hosted on WordPress.org. Warning: This is a blocker. If the theme is not compatible, you can stop the review and let the author know that you can’t continue the review until the licensing issues are resolved. Here you will find general information about GPL, including a list of compatible licenses. The Theme Developer Handbook also has a chapter on Licensing. In 2009, Matt Mullenweg confirmed again that while GPL only requires the PHP code to be compatible, WordPress.org will only host and promote themes that are 100% compatible with GPL. This means that all code, fonts and images and any other resources that are used by the theme, must be compatible with GPL. -The Theme Review Team does not have a mandate to change or make exceptions to this requirement, and it means that reviewers need to check both the submitted theme, and make sure that the theme author does not promote themes that are not compatible. For the reviewer to be able to confirm that the submitted theme is compatible, authors need to include license and copyright for the theme itself, and a list of all resources used in the theme. Themes are required to include the license in the header of the style.css file. Open style.css and make sure that these lines are in the header and that they are not blank. The remaining license and copyright information should be included in the readme.txt file or in the license.txt file. Make sure that the author has included a copyright notice for the theme. Themes need to include license and copyright information for all assets including stylesheets, scripts, fonts and images (even images used in the screenshot and images that the author has created). -It is not enough to only keep the information in the file header of the third party script, it would simply take too long to review, so we ask that authors write a list of all the assets. If a theme incorporates code from other themes or plugins, these must also be attributed. Validate the themes readme file with this tool. This step is cause for a lot of confusion and frustration for both theme authors and reviewers. The reason why reviewers need to know the license of the authors other themes, -themes that are not even submitted to the theme directory, is that WordPress.org may not be used to promote themes that are not 100% GPL compatible. Authors who provide themes in other places than WordPress.org, -whether it is on their own website or a marketplace, need to show that all their themes are 100% compatible with GPL. The easiest way for reviewers to check this, is to visit the Author and Theme URI, and look for the information. If the author has added the information correctly, this step only takes a few seconds. If the information cannot be found, you can request the theme author to add it. Stating that the user cannot remove or edit a footer credit link. Stating that the theme can only be used on one website. Stating that the user is not allowed to sell or distribute the theme. If the author or theme URI has links to marketplaces, follow the links and make sure that all themes sold from the authors account are 100% compatible with GPL. Related requirements can be found here. 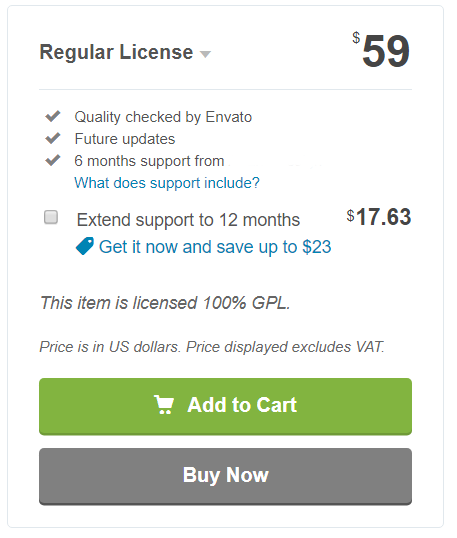 Authors cannot submit a free theme, that is 100% GPL compatible, and use the traffic and the links in that theme, to sell a premium version of that theme, which is not 100% GPL compatible. Authors can submit a free theme, that is 100% GPL compatible, and use the traffic and the links in that theme, to sell a premium version of that theme, which is also 100% GPL compatible. Authors cannot submit a free theme, that is 100% GPL compatible, and use the traffic and the links in that theme, to give away or sell other themes they have created, which are not 100% GPL compatible. Authors can submit a free theme, that is 100% GPL compatible, and use the traffic and the links in that theme, to give away or sell other themes they have created, which are also 100% GPL compatible. It does not make a difference if a theme is sold or given away on the authors website, or on a different marketplace. Authors are allowed to sell themes on marketplaces as long as these themes are 100% GPL compatible, not sold under a split license or similar. Authors are allowed to write blog posts, articles, and in other way present themes from other authors and theme shops, regardless of the themes license. Changing the license may take some time. If the author has assured you that they are working on changing the license, please consider keeping their ticket open while you wait. The theme needs to be as secure as possible. To be able to review this, you need a basic understanding of escaping, validating and sanitizing. Please read and refer to the Theme Security chapter in the Theme Developer Handbook and the WordPress.com VIP security overview. Note: All untrusted data should be escaped before output. Untrusted data includes user input, for example theme options. A common mistake is echoing get_theme_mod(), get_option() or get_post_meta() without escaping. When a WordPress function begins with “get_”, such functions generally need to be escaped. When WordPress functions begin with “the_”, generally these are already escaped prior to output. While the link in the_permalink() is already escaped. get_the_title() is not normally escaped since we want to allow html in titles. To use a post title in a title attribute, the_title_attribute() should be used instead. This content is escaped. In this example, the link to the image in header_image() is already escaped with esc_url(), but the width and height attributes need to be escaped. get_the_category_list() is an example of a commonly used function that starts with get_ that does not need to be escaped. The links to the categories in the function are already escaped with esc_url(). To determine if a WordPress function needs to be escaped, you can look it up in the developer reference. You can also double check content inside html attributes. A common mistake in themes is forgetting to escape the placeholders for the comment- and search forms. placeholder="<?php esc_attr_e( 'Search...', 'textdomain' ); ?>"
Note: Validate and/or sanitize untrusted data before entering into the database. There are basically 3 places where we allow user input to be saved: the Customizer, in meta fields, and in custom widgets. Separate option pages are no longer allowed. Look for the customizer file(s) and make sure that all options are sanitized and/or validated using the correct functions and methods. All settings in the customizer needs a sanitize_callback or sanitize_js_callback. Using esc_html() and esc_attr() for sanitizing. Sanitizing external links with sanitize_text_field() instead of using esc_url_raw(). Another problem is when a custom function is added as a sanitize_callback, but the value is returned without being sanitized. Customizer settings with checkboxes, radio buttons, multiple options (select and choice) and settings that require a specific format (for example numbers only) should be validated before saving. Tip: The Theme Review Team has a managed GitHub repo which provides useful examples of various customizer features, including sanitization. This repo can be found here. Theme authors are allowed to add custom fields for design related options to posts and pages. Non design related options are not allowed, nor is adding fields to other screens than posts and pages. Make sure that a nonce is used. wp_verify_nonce should be used rather than check_admin_referer(). See Using Nonces to learn more about nonces. Make sure that a capability check is used; look for current_user_can() in combination with edit_pages or edit_posts respectively. Capabilities should be used rather than roles. The data needs to be sanitized and or validated with the correct functions or methods before saving. Post meta-data needs to be escaped on output, whether it is displayed in the admin or on the front. The Plugin Developer Handbook has a chapter on managing Metadata and adding custom meta boxes. Theme authors are allowed to add custom widgets that uses existing content, but also widgets that create minor content. A custom widget can be very varied, but can have the same security issues as metaboxes. The data needs to be sanitized and or validated with the correct functions or methods before saving. Widget data needs to be escaped on output, whether it is displayed in the admin or on the front. Tip: Even options that are only available if a plugin is installed needs to be secure. Check the theme to make sure that there are no errors, warnings or notices. View archives, single post and pages. Perform a search and test the 404 page. Add custom widgets, test them in both the admin and on the front. You do not need to validate HTML or CSS. Themes are required to support PHP7. This means there must be no PHP errors or notices when running on PHP7. Themes are allowed to use newer PHP features that are not included in PHP 5.2 or PHP 5.5, but there must not be any PHP errors when the theme is installed on a site using a lower than supported PHP version, e.g. PHP 5.x. The Theme Sniffer plugin allows you to select a minimum PHP version, and will print an error if a theme uses features not available in that version. In those cases, you should test the theme on both PHP versions. Theme authors can choose whether or not to allow the theme to be activated on sites using a lower PHP version. Themes should not use features/APIs that are meant for WP Core use only. This is not very common, so you don’t need to memorize these functions; if you look them up in the developer reference, you will see that there is a notice at the top of the page, explaining that is is not intended to be used in themes or plugins.